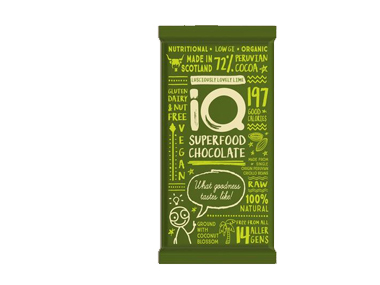 We sell IQ Chocolate products like IQ Lusciously Lovely Lime Dairy Free Chocolate Bar online in the UK and directly from our award-winning store in Scotland. If you want to automatically receive an email when 'IQ Lovely Lime' is back in stock, just leave your email address below. Delicious dark dairy and gluten free chocolate bar flavoured with organic lime oil. Our most popular chocolate bars! As official IQ Chocolate stockist, we sell genuine Chocolate directly from our shop in Scotland and online throughout the UK. View more products from IQ Chocolate. Where can you buy real IQ Lovely Lime safely online? If you are wondering where you can buy IQ Lusciously Lovely Lime Dairy Free Chocolate Bar safely online in the UK, then shop with us. We are an actual health foods shop; with real people selling real foods and products. Our award-winning independent shop is located in Stirling, Scotland since 1976. You can buy our Organic SuperFood Chocolates and other genuine Chocolate in store or safely place an order with us online or over the phone. IQ Lovely Lime - IQ Lusciously Lovely Lime Dairy Free Chocolate Bar in Chocolate and Confectionery.